Does your family have that one dish that everyone fights over at the holidays? You know, that one side that if you’re not at the front of the line there’s a good chance there won’t be any left by the time it’s your turn to make your plate? Well if your family doesn’t have that one dish yet, you’re able to make it. If you’ve never had green bean bundles, then you’re definitely missing out. It’s a mixture of savory, sweet and a course BACON! So, if you’re still trying to figure out what to take to Grandma’s on Thursday, then look no further than the amazingness I’m about to share below. Slice Bacon in half and cook slightly through. Make sure you don’t get it too crispy, you’ll need to be able to wrap it around the green beans. If using fresh green beans, be sure to cut the ends off. Otherwise, pour green beans into a pot and cook for 2-3 minutes. You just need to get them tender. Drain the green beans, pat dry and put into a large mixing bowl. In a separate bowl, mix together the melted butter, salt, pepper, garlic and brown sugar. Pour over the green beans. Mix together until the green beans are evenly coated. 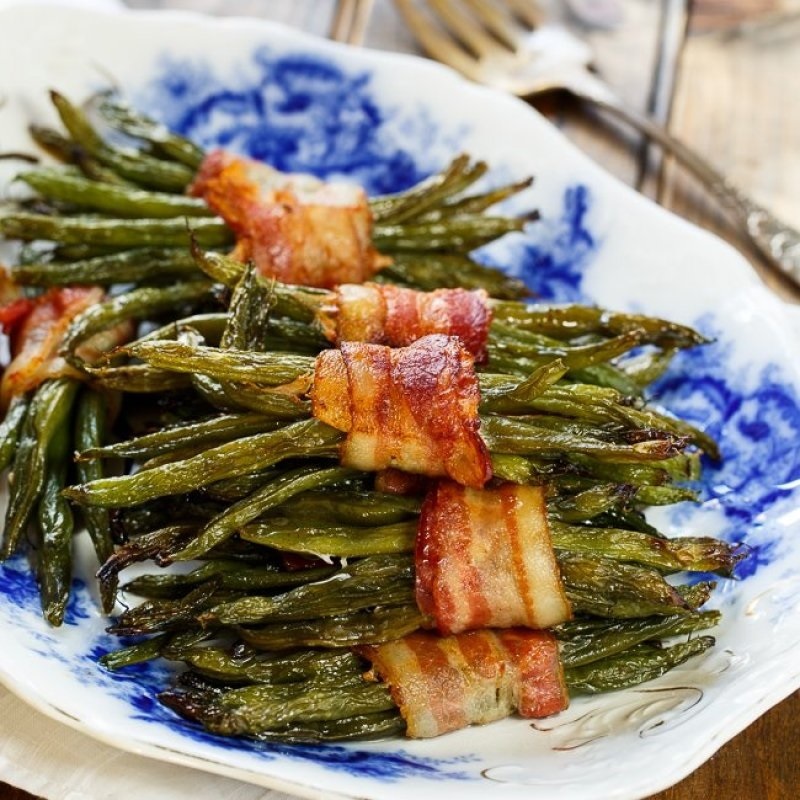 Wrap 8-10 green beans in the bacon slices, secure with a tooth pick. Place on baking sheet or in a casserole dish. For extra goodness, melt extra butter, brown sugar, salt, pepper and garlic powder together and pour over the top of the bundles. Cook for 15 – 20 minutes at 400.